After sleeping upside in the darkness all day, Vampire Bats wake up when the moon comes out in order to hunt for food. Despite being incredibly strong fliers, they can also move on the ground with surprising speed and agility. 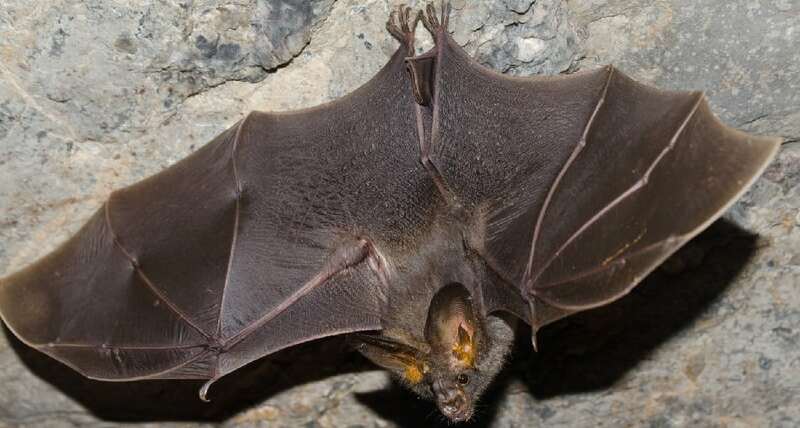 Vampire Bats fly about 3 ft above ground in search of a warm-blooded animal, and once found, they land close to it. The Vampire Bat then crawls up to it’s generally sleeping victim, before biting it and feeding on the flowing blood. In most cases, the prey does not die from the bite.